Peace and blessings to all our readers and DJUSA supporters. Thank you for taking the time out to open our newsletter month after month to keep up with what the DJUSA team is doing out here. Last year was our busiest year handling over 600 events for elite private clients globally. In addition to our private clientele, we also serviced many corporate clients including Adidas, New Era, Revolt TV, Fox 5, Mount Sinai Hospital, Macy’s, and JP Morgan to name a few. 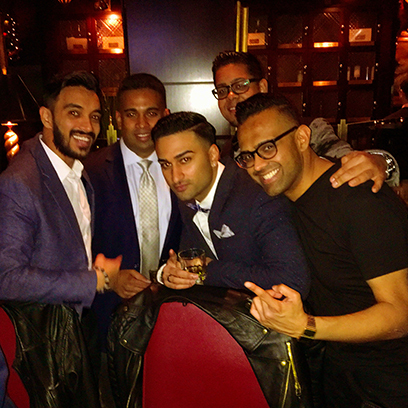 The year ended with a bang as we hosted our annual Grand New Years Eve celebration at Cirpriani 42nd Street and BOOM … here we are in 2016. 2016 looks to be a promising year for the team here at DJUSA. All of our DJ’s, event hosts, and team members are preparing in this off season as we expect to be in full swing with busy season starting in the spring. 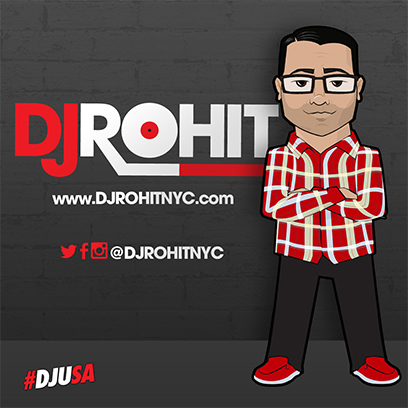 If you or someone you know is considering booking DJUSA for your next event (big or small) please visit our website www.djusaevents.com and fill out that inquiry form. On a personal level I am working on a few projects for 2016 including original music production which started last year, a bunch of downloadable mixes, and booking the best parties and events all over the world. 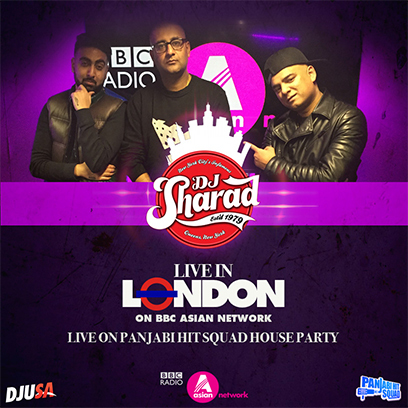 I recently traveled to London, England and linked with my boys PHS for the Hit Squad House Party on BBC Asian Network every Saturday night. 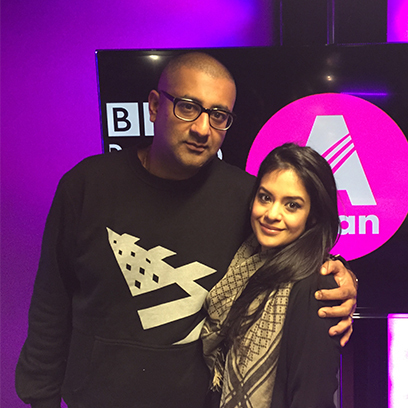 They interviewed me and I mixed live on the British airwaves ! It was a pleasure seeing my guys out there and I look forward to doing more work across the pond over the next year. 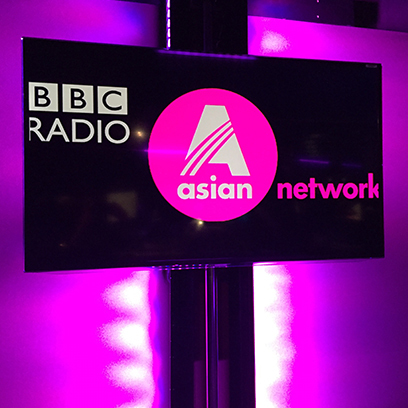 My live mix & full interview airs on February 6th (6pm UK time, 1pm Eastern Standard Time) and will be available until March 5th to listen: Click here for access to BBC Asian Network. 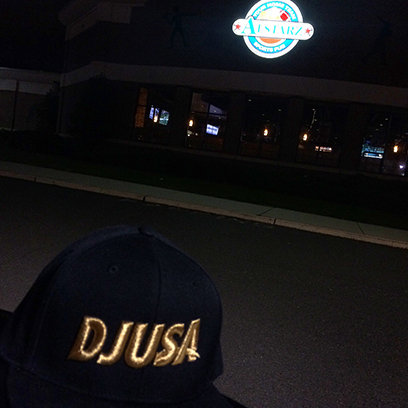 For access to download old and new mixes for FREE from the DJUSA DJ team, please click here. Happy 2016 all! I’ll see you on a dance floor somewhere soon! Hey What’s Up Everyone, Hope everyone on East coast enjoyed their snow filled weekend and had a great time shoveling all the snow. I know I definitely did HA! 2015 was an amazing year for me. In 2015, I had the pleasure of travelling a lot for destination events. 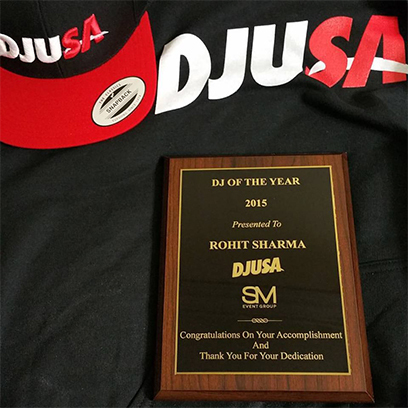 I also won “DJ of the Year” for the 7th year in a row. I was blessed with an amazing opportunity of performing along side some of my favorite artists. As 2016 started, I joined forces with DJUSA’s office team as a client service representative. In addition to DJing and managing wonderful events on the weekends I along with my client service partner DJ Avi will be working hand in hand with our clients towards many incredible events. Looking at the Music side of the things, there has been a lot of new music from all over the world that I have been enjoying. I have compiled a 30-minute mix of all these eclectic songs from different genres and named it “All Around The World”. 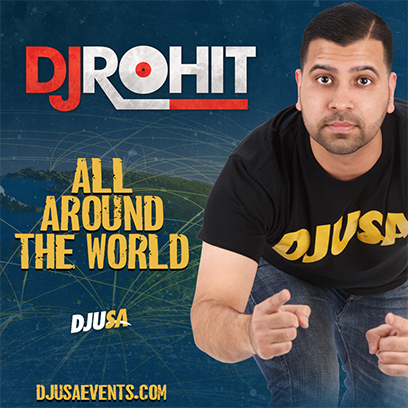 You can listen to this mix by navigating to my Mixcloud page (www.mixcloud.com/djrohitnyc). 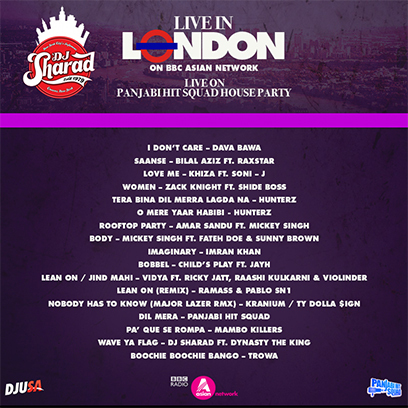 It will also be available for free download on DJUSAEvents.com. Thanks for all your support and See you on the dance floor! Happy New & Blessed Year to EVERYONE from the DJUSA and SM Event Group families!! What an amazing year it has been! First off, I would like to thank all of our clients, vendors and industry peers whom we’ve had the honor and pleasure of working with. I was blessed once again to serve the people in the greatest city in the world, in ushering in the New Year at the renowned Cipriani 42ndStreet here in New York City. 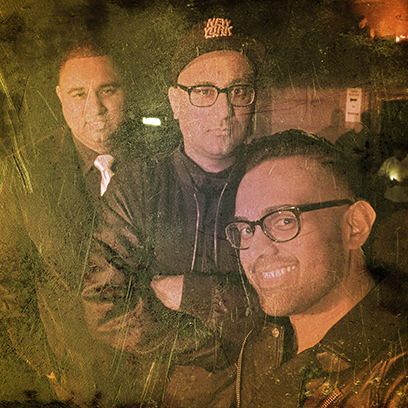 All though I missed rocking with my brother Arun aka DJ Juicy, it was an amazing reunion to headline alongside my big brother and mentor DJ SHARAD and our youngest in charge, DJ AVI!! 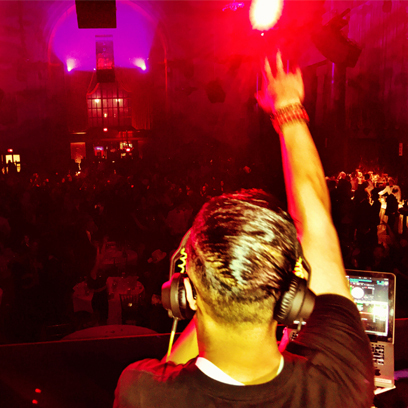 We have rocked this venue for 4 straight years and this year along with JOONBUG, MANU NYC and host MARCO GLORIOUS, we shattered all past numbers with a record 2800+ people through the grand entrance! With New Yorkers, tourists and faces from across the world, this event defines what NYC is…. a true melting pot of the WORLD!! On a special note, I had an amazing team of cinematographers from Swat Films shoot me all day in our 1 of 3 day shoot to create some very special memories. Without disclosing too much as there is much more to come…. Keep us in your blessings as we shop network television on some very, very massive moves!!! On to the music! From the familiar pop radio, steps to classic hip hop and levitations of dance music, there wasn’t a genre untouched in our sets! For those who came and lived the experience, I thank you for the memories. Work hard, stay humble and treat others the way you want to be treated! I hope everyone is having a wonderful start to 2016. Thank you for everyone who partied with us in 2015, our team is really looking forward to rocking parties all over the globe this coming year!!! On a personal note, I have been extremely blessed to be rocking on Philly’s airwaves for the past 2 years. 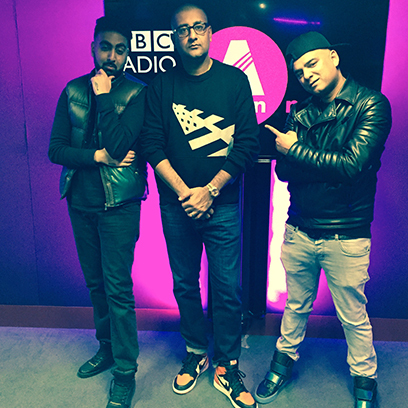 This year we are taking our mix show to the next level every Friday night as we introduce #FridayNightLive. 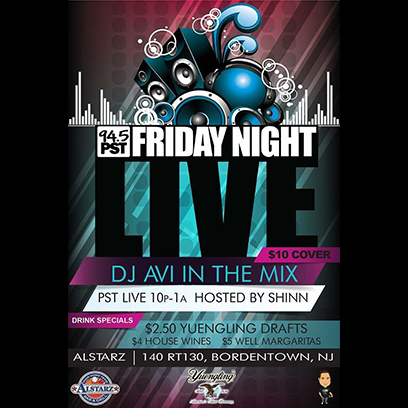 Shinn and myself take over Alstarz in Bordentown and broadcast live on your radios from 10pm to 1am. As a DJ we embrace every opportunity to play for many different crowds and for myself I look forward to the challenge of keeping our dance floor packed at Alstarz, yet at the same time keep our listeners engaged on the radio side. If you are checking in from Philly, Jersey, or PA make sure you tune in Friday and rock with us!